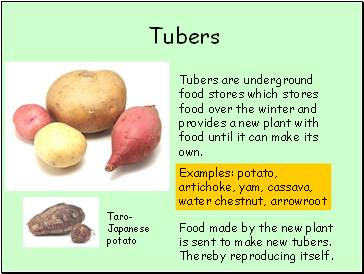 Tubers are underground food stores which stores food over the winter and provides a new plant with food until it can make its own. Food made by the new plant is sent to make new tubers. Thereby reproducing itself. 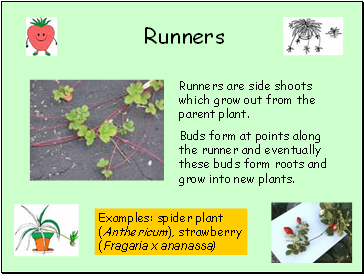 Runners are side shoots which grow out from the parent plant. Buds form at points along the runner and eventually these buds form roots and grow into new plants. 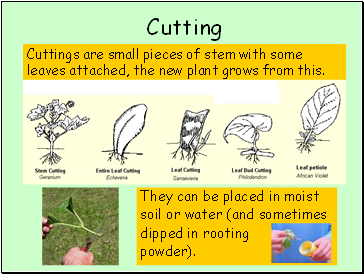 Cuttings are small pieces of stem with some leaves attached, the new plant grows from this. 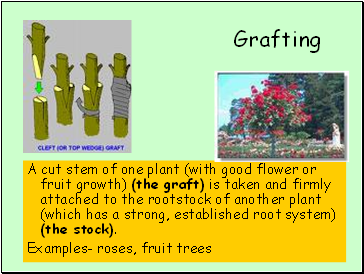 A cut stem of one plant (with good flower or fruit growth) (the graft) is taken and firmly attached to the rootstock of another plant (which has a strong, established root system) (the stock). 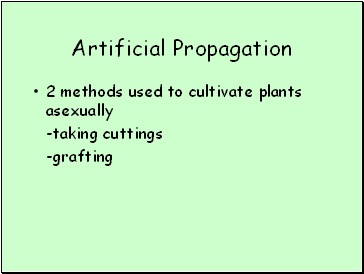 Artificial propagation has allowed us to adapt and improve plants for our own use. 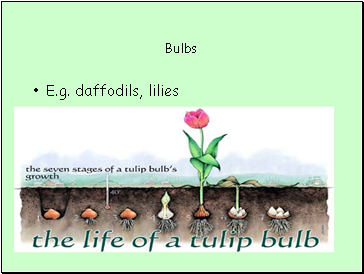 Quick production of large numbers of genetically identical plants. 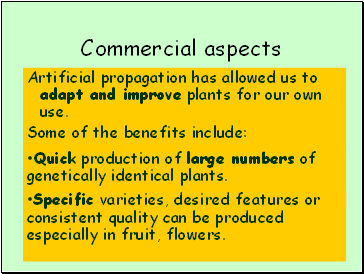 Specific varieties, desired features or consistent quality can be produced especially in fruit, flowers.